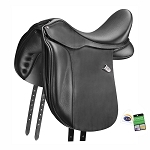 FREE Matching Leathers Childs 48" Adult 54"
Intrepid Gold Close Contact Saddles have been a great success ever since they were introduced in 2003. 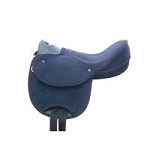 This saddle fits nearly all horse/rider combinations right off the rack! 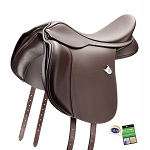 New model features brushed rich brown, grained calfskin leather with protective wear leathers at the bottom of the flaps. 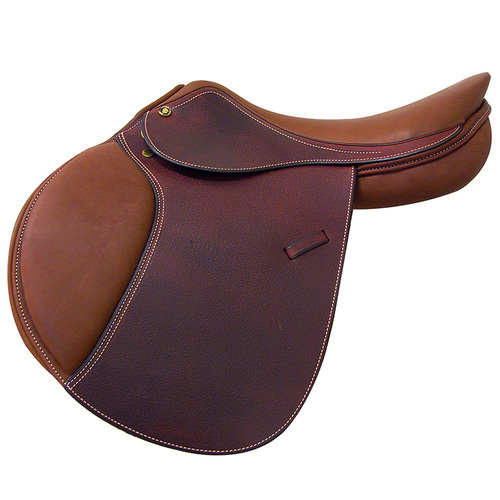 The New Intrepid Gold saddle also has the IGP (Interchangeable Gullet Plate) System, making it more adjustable to different horses as needed and able to fit your horse within minutes. It is shipped with a regular (narrowest) width gullet in place. 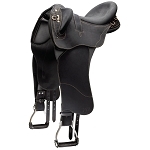 We also offer your choice of two additional gullet plate sizes, as well as quality matching leathers to complete your package. 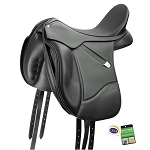 All this for less than the suggested retail for the saddle alone! A value of over $150.00 in extras. Additional Gullet plates can be purchased from us. 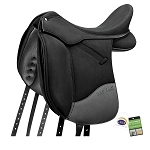 If you send me rider’s height, weight, inseam and upper thigh circumference, I can calculate recommended seat size for this saddle.